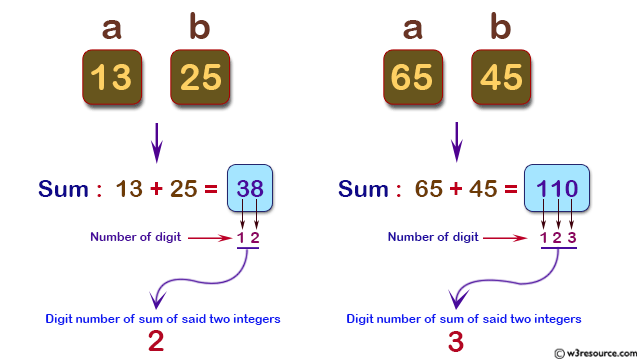 Write a PHP program to compute the digit number of sum of two given integers. 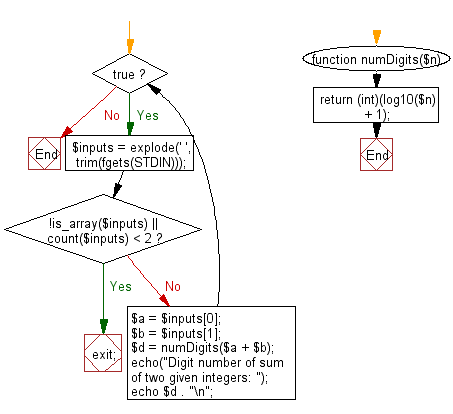 Each test case consists of two non-negative integers x and y which are separated by a space in a line. Previous: Write a PHP program to find heights of the top three building in descending order from eight given buildings. 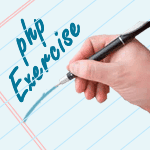 Next: Write a PHP program to check whether three given lengths (integers) of three sides form a right triangle. Print "Yes" if the given sides form a right triangle otherwise print "No".